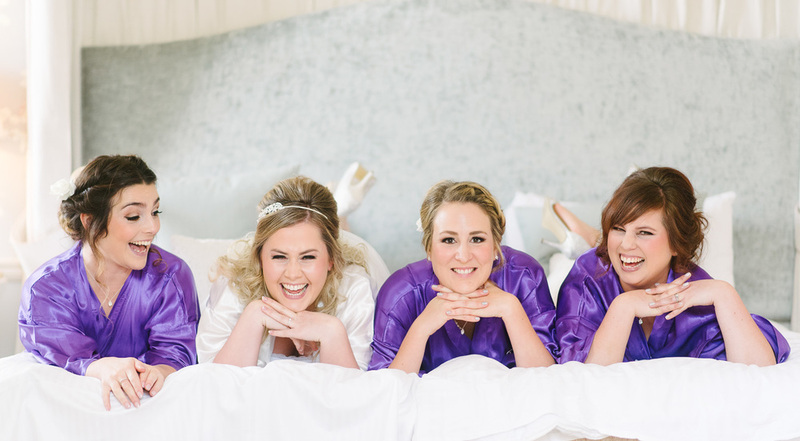 Laura & Fraser's Balbirnie House wedding was simply magical. 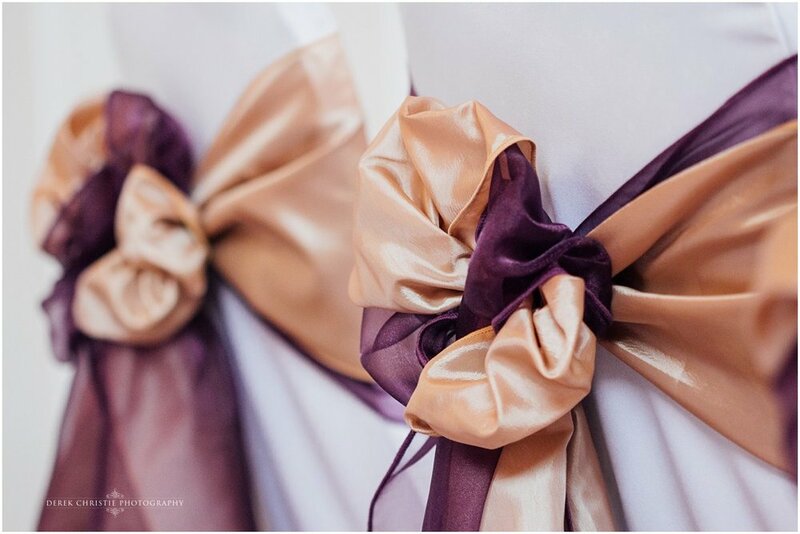 The venue was stunning as usual but even more so with the recently decorated bridal suites. It was these luxurious surroundings where I met with Laura and the girls for the bridal prep. Fraser and the boys were only one floor up so it was great to be able to get some shots of the guys getting ready for the big day. Or maybe that should be... trying to tie their cravats. Thank you YouTube! 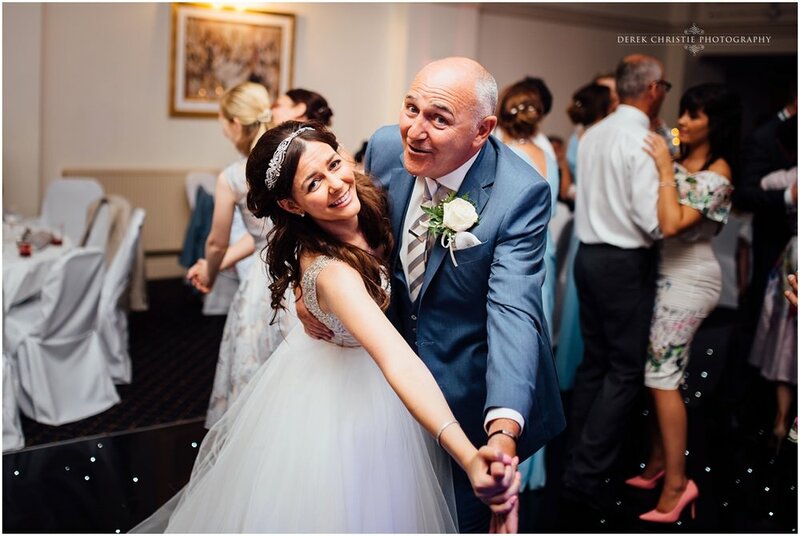 Laura's father escorted the beautiful bride down to the Orangery for the ceremony which was wonderfully presided over by Sandy Geddes. After the confetti and family photographs we wandered around the grounds at Balbirnie for some nice shots with Laura & Fraser before dinner. Colin Moxey was doing a grand job capturing all the moments of the day on video and it was great to work with him. Then all that was left was to party!! 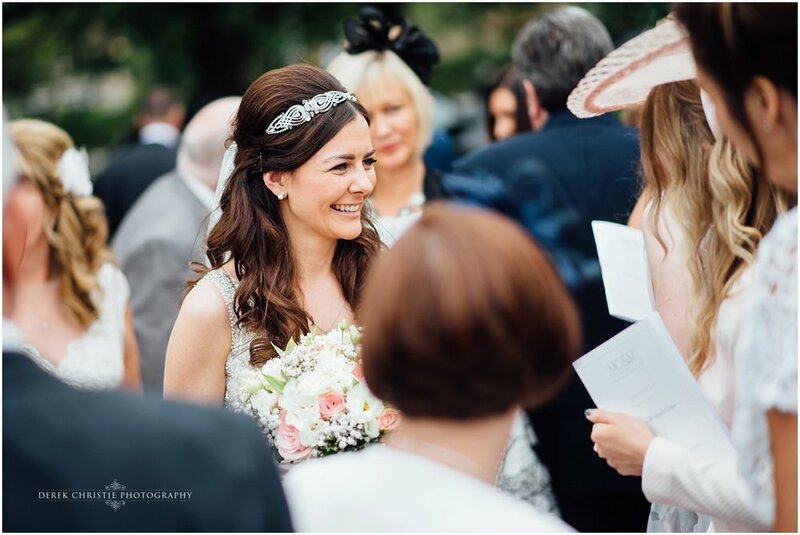 What a fantastic wedding at Balbirnie House. Congratulations to Laura and Fraser! I always love returning to Balbirnie House as it is one of those wedding venues that has everything. Beautiful building, always welcoming staff and a stunning interior which includes that gorgeous staircase. Laura & Henry tied the knot in The Orangery at Balbirnie with drinks reception in the main bar. We couldn't have gotten the weather any better for this time of year with only a few spots of rain and the sun even made an apperance. I met Laura in her room with all the girls as the hair and make-up was all going on. Always a great time to meet everyone and grab a few candid shots before heading downstairs to meet the boys. Henry was in the bar with all the groomsmen and other guests enjoyong a drink while the wedding hour fast approached. 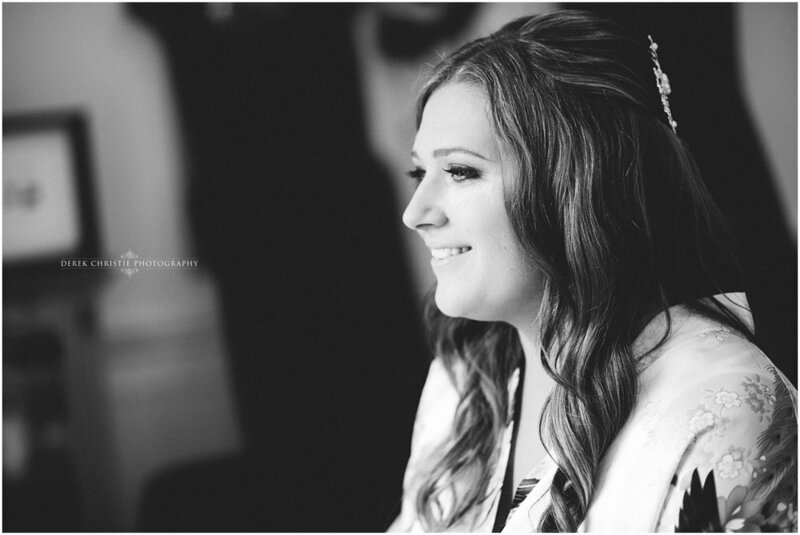 The Orangery was beautifully prepared for Laura to walk down the aisle with her father. The ceremony was expertly conducted by Graham Duff from The Humanist Fellowship Of Scotland culminating in the traditional hand fastening. This is where the phrase "Tying The Knot" comes from. After the ceremony all the guests headed outside for the big group photograph but then as it was a little chilly, we did the group shots in small bursts to help keep everyone nice and cozy indoors as well as making sure everyone could relax and enjoy the day instead of standing around for photos. It was a great atmospher and a fantastic day. 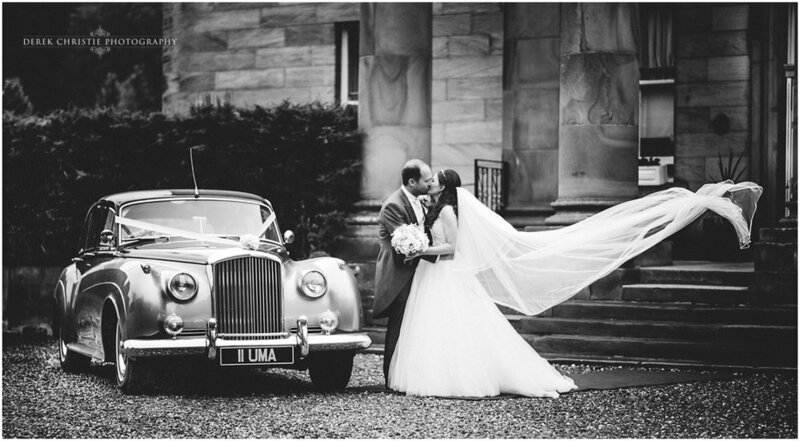 Huge thanks to Laura & Henry for making me part of their special day at The Balbirnie House Hotel. Back to one of my favourite venues, Balbirnie House, to photograph Janette & Stuart's wedding. 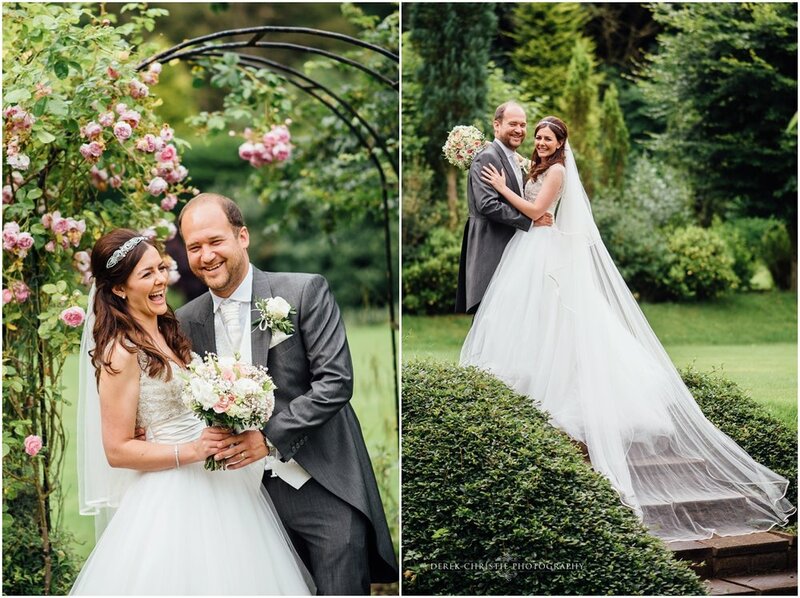 It turned out to be a perfect day with a lovely couple and great guests. 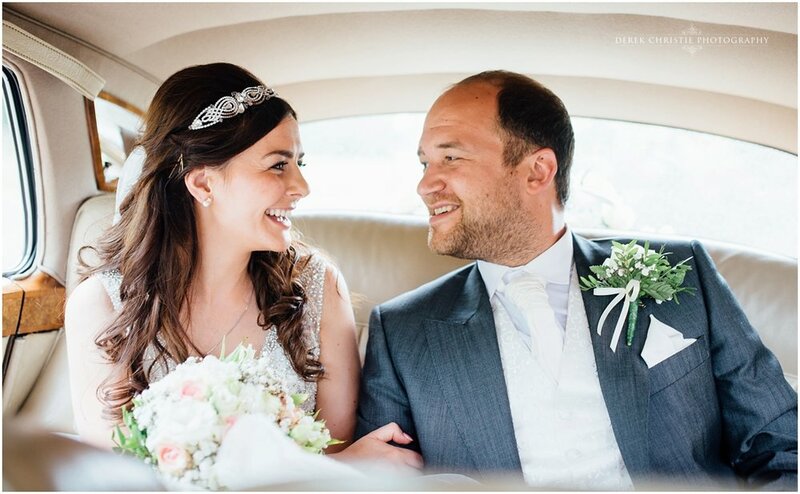 I was especially delighted to meet up with previous clients and friends Nerissa & Kenny who's wedding I had shot a couple of years earlier..or was it three years earlier? Time flies I guess. Janette was getting ready in one of the rooms on the ground floor so I decided to go and meet Stuart and the guys as they arrived. I hardly recognised Stuart! He was looking very trim indeed. I'll need to ask him his secret one of these days. I took some shots of Stuart and the groomsmen as they greeted and chatted with newly arriving guests. Janette was almost ready so I took the opportunity to get a few shots of the finishing touches and I have to say, she looked incredible, just incredible. The ceremony was in the Long Room at Balbirnie which had been beautifully prepared by the staff as always. After the ceremony we headed outside for confetti and group shots followed by bride and groom portraits around Balbirnies beautiful lawns and gardens. Finally after the wedding breakfast it was time to party and make no mistake, they partied alright. Some awesome dance moves were on show and it was great fun jsut gliding around the edge of the dance floor picking of shots as the guests let their hair down.